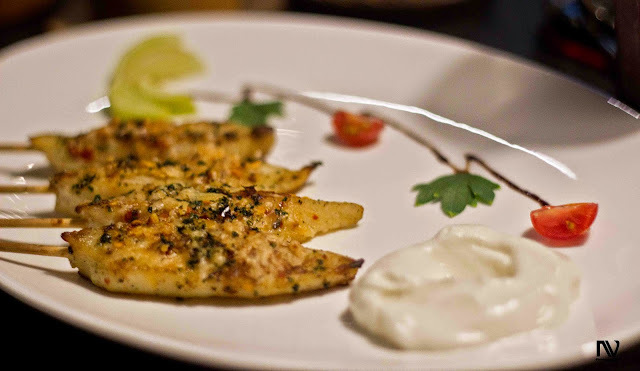 Zamozza, just behind Shiv Sagar in Janpath, offers a choice of delectable cuisines namely Italian, Mexican, Lebanese and Thai. 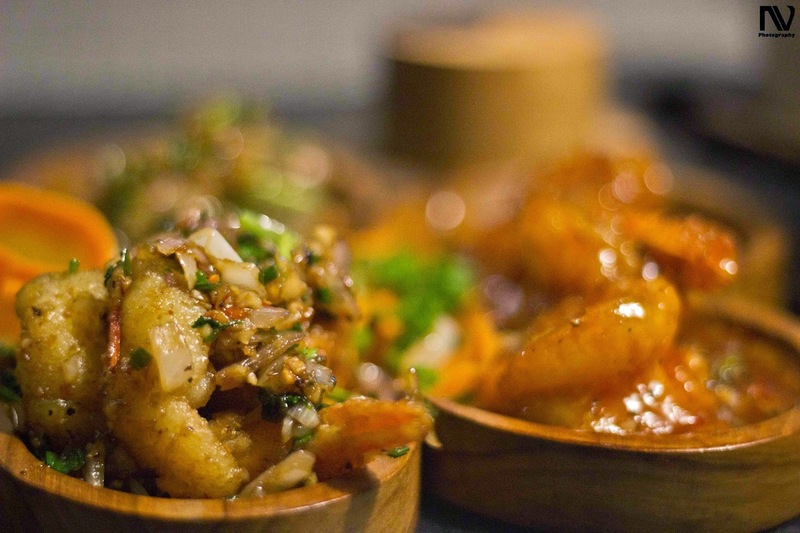 Upon its arrival it has created quite a buzz in town with its cleverly thought out menu and lavish ambience. The place is very spacious with ample seating area. The entrance door will lead you to a pathway of mirrors on both the side and light bulbs occupying the whole ceiling. It also has an open bar and a huge screen to telecast matches. The color tones of the furniture soothes your eyes and elevates your dining experience. 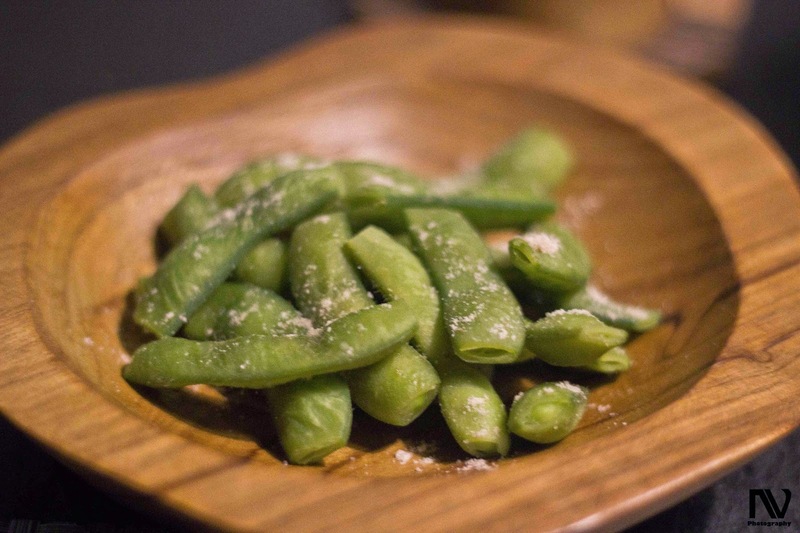 We started off the evening with some boiled Japanese Edamame Beans with some rock salt sprinkled on top. These beans are immature and raw soya beans in the pod and hence are very rich in protein. The beans have a very strong flavor by itself, so they can be savoured without hardly any additional spices. You have to pull the seeds out of the green pods and have it with a pinch of rock salt. Next, we had the Litchi Wontons, a seasonal dish. 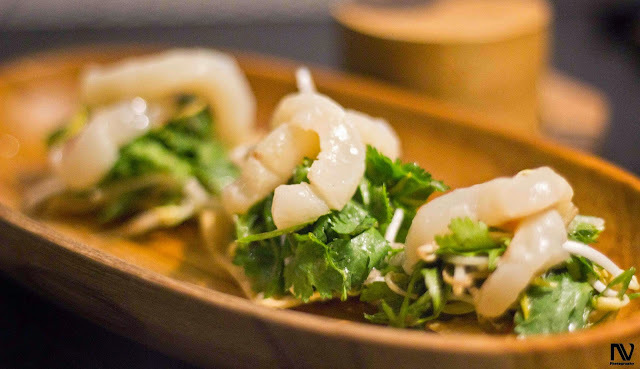 These are fried wontons stuffed with litchi and garnished with lots of cilantro,bean sprouts and litchi strips. As you take a bite of this marvelous creation, there will be a flood of flavourful juices inside your mouth which will compel you to grab another piece.The wontons are very refreshing and are a must have. The presentation of a dish was also wonderful. Next on our plates were potato skins. 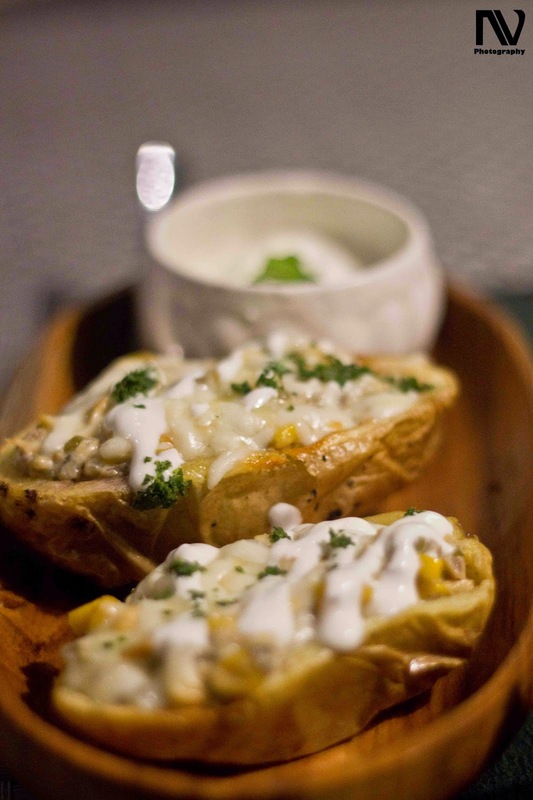 The potato skin is evenly cooked with the core comprising of mushroom, corn, cheese and Italian herbs. It is great snack to go with some beer, and with Zamozza getting their liquor license, this pairing is a must try. Next, we tried the Prawns in Sweet Chilli and Black Pepper Sauce. The prawns were tender and well cooked. The Sweet Chilli sauce was just the traditional sauce with hint of sweetness along with the spices and a strong garlic flavor. I personally liked the black pepper sauce as it has more flavors. The prawns were initially fried in the tempura batter and then tossed with the some veggies and black peppers. Prawns in Black Pepper and Sweet Chilli Sauce. The dish to follow the sinful prawn preparation was the Grilled Fish, which is served on skewers. It was mustard and chilli lime-infused with little bit of paprika and parmesan cheese sprinkled on the top. The fish has a very good texture and pleases you with every bite . This was by-far one of the best grilled fish dishes I ever had. It is served with Garlic Aioli, which went well with the fish. 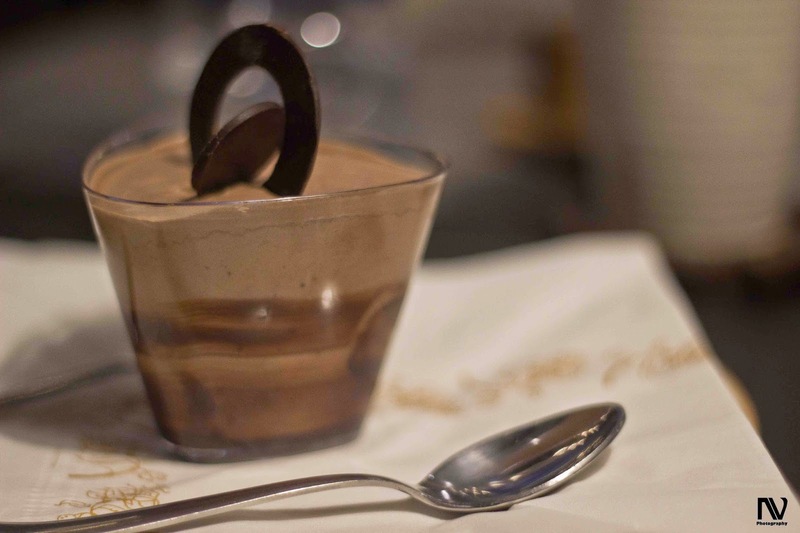 After all these majestic dishes, we were full to the core, so we had just the chocolate mousse for dessert. It is creamy and has a great silky texture and feel to it. It has the perfect sweetness with chocolate overload, which for me was divine. I would recommend this to all the dessert lovers. Zamozza is a nice place for a date or drinks with your friends. The chef has done an excellent job in creating this menu which will make sure that you never leave this place disappointed.